DALLAS -- The 34-year-old man who police said intentionally slammed a rented pickup into a local Fox affiliate television station in downtown Dallas is out of jail, according to CBS Dallas/Fort Worth. 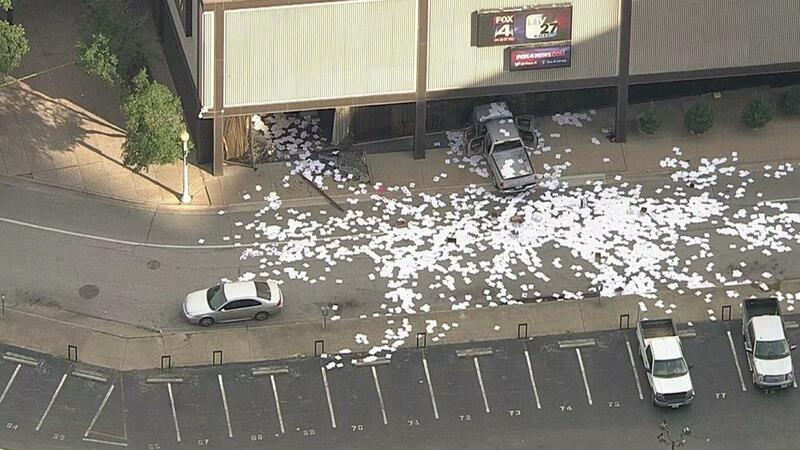 The length of time to hold Michael Chadwick Fry ran out before the news station, KDFW-TV, provided an estimate of the damages to the Dallas Police Department. Therefore, on Friday, Sept. 14, the Dallas Sheriff's Department released Fry. However, the case is still active and the Dallas Police Department is working with KDFW-TV to obtain a damage estimate. Once the department receives the estimate, it will file the case with the Dallas County District Attorney's Office and issue a warrant for Fry's arrest.